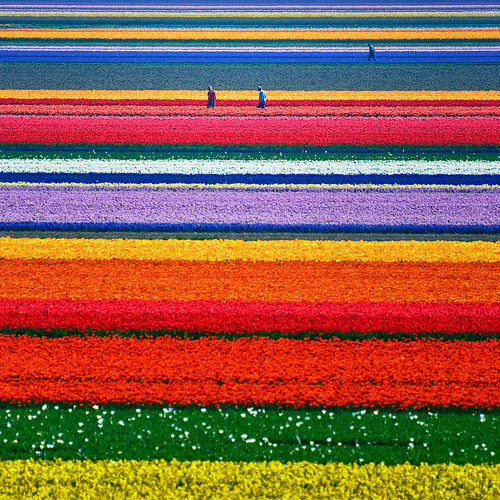 ^ 'Tulip fields just outside Alkmaar, North-Holland, Netherlands. 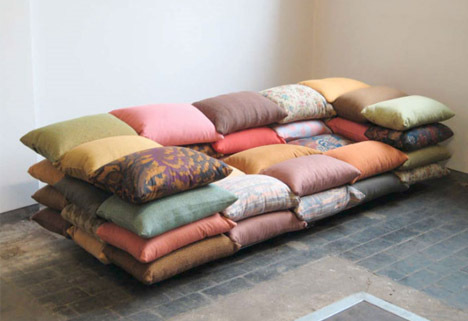 Must be at least one colour of your liking ;-)' by Allard One, (via Kind Over Matter). Today there was no mail and money that should have arrived, but was hindered by the public holiday, never showed and therefore our planned outing to buy a camera didn't eventuate. Minor disappointment all round. I did however receive one of the sweetest packages ever in the mail yesterday, so really no mail for a week would be a fair exchange. When I do purchase the aforementioned camera I'll show you its amazing contents. I spent most of the day trying to copy episode after episode of 'One Tree Hill' for my sister, as she borrowed the whole season from a friend and as a Christmas present I'm going to copy it all and burn the discs for her. With approximately 22 episodes per season, and 7 seasons all up, I'm going to be up for... *does simple maths in head, fails*... lots of discs! I'll have to buy a whole spool. What a nice seester* I am. As well as this I started writing a long letter, had an extended nap and watched as C tidied up our yard, *yawn* such a big, busy day. *I've picked up this spelling from Micaela. ♡ Gin In A Teacup is one of my favourite blogs at the moment and she's doing a very cute giveaway you should take a peek at. ^ This page by Lady Orlando. ♡ Enjoy things Obama related? Do you like Super Mario? Then you will love SUPER OBAMA WORLD! ^ from Phlocks. Boy, I wish I was a 1950's housewife. ♡ No Time Wasters : A guy who places ridiculous ads in the classifieds. ♡ Speech Accent Archive : I found this website sometime ago and it never fails to amuse me. You click on a particular continent, country and then a particular region and listen to various accents from those places, and even submit your own accent. I really want to do it, even though I don't think a Novacastrian accent is particularly different to anywhere else in Aus. 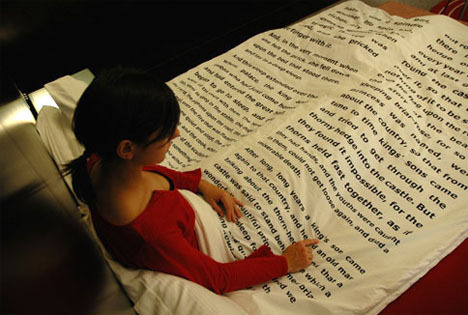 ♡ Readable Book of Hotel Bedcovers : @ Dornob. + this roll-up frying pan + this bath mat made from real moss. Hope everyone rings in the New Year with a bang (for me that will probably mean at home, watching Six Feet Under)!